Winter can be truly wonderful, giving you and your pet the perfect excuse to snuggle up on the lounge for some much-needed cuddle time. But it can also be a tough time of year for our furry friends and often brings with it a range of potential risks and unique care requirements. Regardless of whether you own a dog, cat, rabbit, guinea pig or horse, it’s vital that you make sure you give your pet all the love and care he or she needs during the colder months. Here are our top 10 winter care tips to help keep your pet safe, happy, healthy and warm right through to spring. One of the biggest winter worries for ageing dogs and cats is the pain of osteoarthritis. Just like arthritic humans suffer more in winter, animals also experience greater discomfort when the mercury drops. And as Sydney small-animal veterinarian Dr James Crowley points out, arthritis can never be cured, only managed. “Ensure your pet is not overweight, as extra kilograms place greater strain on arthritic bones and joints. Consult your veterinarian on the ideal weight for your pet,” he says. Regular exercise is a great way to keep your pet at a healthy weight and it can also help your ageing dog or cat to maintain his mobility. Just make sure to keep it gentle and not to push your pet too hard, remembering to ask your vet for advice before beginning any new exercise regimes. There are also a number of medications that may help your pet. “Your vet can prescribe anti-inflammatory or corticosteroid drugs to reduce inflammation. Injectable medications that promote cartilage repair and increase joint fluid are also available and can help reduce the amount of or need for other medications,” Dr James says. Dietary supplements such as glucosamine, omega-3 fatty acids and green-lipped mussel extract are also advised, or your vet may recommend a prescription arthritic diet that already contains some or all of these vital nutrients. Finally, provide a padded place to sleep and remember that the pain on some days may be worse than others, so stay patient and give your pet all the love and attention she deserves. One common question among new pet owners is whether or not it’s OK for their pet to sleep outside during winter. The simple answer is that it’s always a whole lot safer for pets to stay inside on those chilly winter nights. Not only will this keep them warm and dry, it can also stop them getting into trouble, such as dogs escaping and getting lost or cats getting into fights with other neighbourhood felines. However, if your pet has an independent streak and lives an outdoor life, just remember that he must have adequate shelter from the elements and somewhere warm and dry to sleep. This will ensure he doesn’t suffer the potentially serious complications of hypothermia. It’s freezing outside and you’re snuggled up in bed under three doonas, four layers of clothing and a hot water bottle. You’re warm and toasty, but what can you do to make sure your dog enjoys a similar level of comfort? Dr James also recommends using plastic food and water bowls for better heat retention, and remembering to dry your pet thoroughly after a bath so she doesn’t end up shivering all through the night. Once again, it’s recommended that your cat stays indoors at night time. “Provide them with a nice cosy bed to snuggle into, or let them in with you and snuggle up together,” Dr Jo advises. Dr James also points out that cats are pretty capable of staying warm during winter. “Cats are very good at regulating their own temperature — they will naturally seek out warm areas of the house to keep themselves warm,” he says. This could be under blankets on beds, or perhaps in the linen closet. Just ensure that there are plenty of warm blankets available, and perhaps leave the linen closet open if it’s your cat’s favourite winter snuggle spot. Protecting my cat or dog against fleas, worms and other nasties is something that only needs to be done in spring and summer, right? Wrong. Ticks are usually a spring or summer parasite but they can still cause issues throughout other seasons. Year-round prevention is also recommended for gastrointestinal parasites such as roundworms, hookworms and tapeworms. “Monthly or three-monthly tablets are very effective, as are some monthly spot-on products,” Dr James says. Ask your vet for advice on the best way to protect your pet. 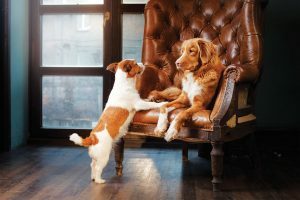 Many people are aware of the importance of staying on top of their dog or cat’s grooming during summer, but did you know that regular grooming is just as important during winter? In fact, it’s vital to maintain your pet’s grooming throughout the year. “In winter particularly, rain and mud can lead to matted coats that cause discomfort. Grooming your pet is also an excellent opportunity to check them over from head to toe for lumps, bumps or skin issues,” Dr Jo says. There’s a huge range of stylish doggy coats and jackets available in all manner of fabrics and patterns, but these doggy clothing collections do more than just make your pooch look good. In fact, a doggy coat could be essential to help your pet stay warm on those freezing winter days. “It’s worth considering a coat for your dog to wear in winter. Dogs that feel the cold the most are the very young, the very old, very small dogs, those with short coats and those with little body fat,” Dr Jo says. Another common area of concern for cat and dog owners is how much to feed your pet during winter. Dr James says some overseas studies have shown that pets may need to consume more calories in winter to give them the extra energy needed to keep warm, but the weather has a much bigger effect on pets living in countries that experience harsher conditions than those typical to Australia’s mild winters. 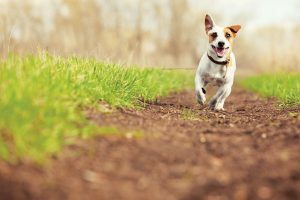 Instead, for Australian pets, their age, activity levels and a range of other factors will have more of an influence on their dietary needs than the weather. “Our dogs and cats usually need to eat less in winter because they are less physically active during the colder months and tend not to be exposed to particularly low temperatures. This is in contrast to animals in very cold climates who are exposed to the elements,” Dr Jo says. But if you live in one of Australia’s colder regions and you have an outdoors dog, it’s worth asking your vet whether your pooch needs any extra chow in his bowl during winter. 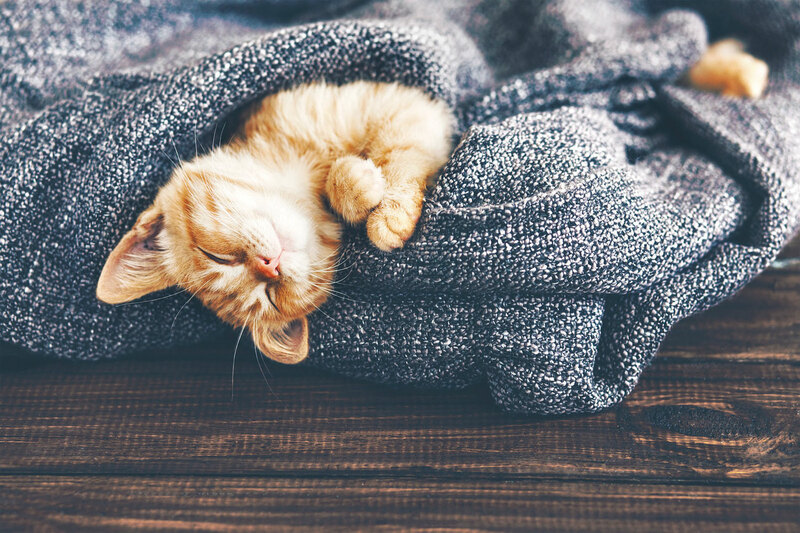 Regardless of whether your furry friend is a feline or canine, there’s one all-important aspect of winter care that’s always the same: cuddles! Spending lots of quality time with your pet is crucial at any time of year, but there’s no better time than winter for you and your four-legged companion to snuggle up on the lounge to stay warm and toasty. We’re sure you don’t need an excuse for some cuddle time with your dog or cat, so be sure you make the most of it when the temperature drops this winter. Are you the proud owner of a fluffy rabbit or a gorgeous guinea pig? If so, there are a few simple things you can do to look after your pet in winter. “Rabbits and guinea pigs are especially sensitive to cold (and heat) due to their small body size. It’s important to provide protection from rain and wind,” Dr Jo says. Ensuring that there is always easy access to plenty of fresh food and water is another must.